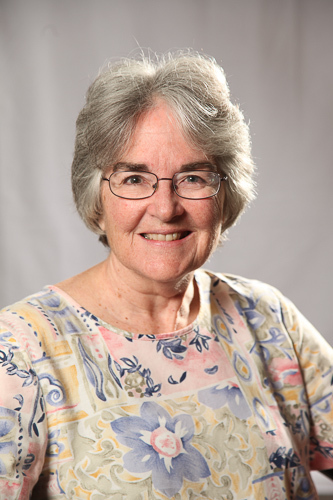 Emerita member Kathleen Triman was the first person to register for The Allied Genetics Conference (TAGC). Here she tells us why she can’t wait. Genetics is my lifelong fascination! TAGC will be a unique opportunity to LEARN, exchange ideas, and meet future collaborators. I also look forward to sharing my excitement about teaching at a liberal arts research college. What is the importance of societies like GSA? I have read the journal GENETICS regularly since 1970. My first graduate research poster in 1981 was presented at the 50th annual GSA meeting in Raleigh, NC. Most recently, I attended the Model Organisms to Human Biology conference in San Diego in 2006; I met a new collaborator, Dr. Jinnie Garrett, there and coauthored an undergraduate education review article with her. You never know whom you might meet at a GSA meeting! First undergraduate genetics course: Chromosome Behavior course with Dr. Bernard John in 1966 at UCLA led me to graduate study in cytogenetics at San Diego State College. First job: mammalian cytogenetics research with Dr. Muriel Davisson and Dr. Thomas Roderick at The Jackson Laboratory in 1973. Doctoral studies at University of Oregon Institute of Molecular Biology in Eugene with Dr. Gerry Smith and Dr. Frank Stahl: homologous recombination hotspots in phage lambda and bacteria. Post-doctoral appointment with Dr. Harry Noller at UC Santa Cruz: mutational analysis of the ribosome. Faculty position in molecular genetics at Franklin and Marshall College (1990–present). Two critically important affiliations outside of my faculty position have been an annual Summer Visiting Investigator appointment with Dr. Janan Eppig at The Jackson Laboratory (1995–2015) and participation in the ELSI Faculty Workshops on Undergraduate Genetics Education at the Dartmouth Ethics Institute in 2002 and 2006. Bioinformatics. Among other activities, I am creator and curator of the Ribosomal Mutation Database (since 1994).